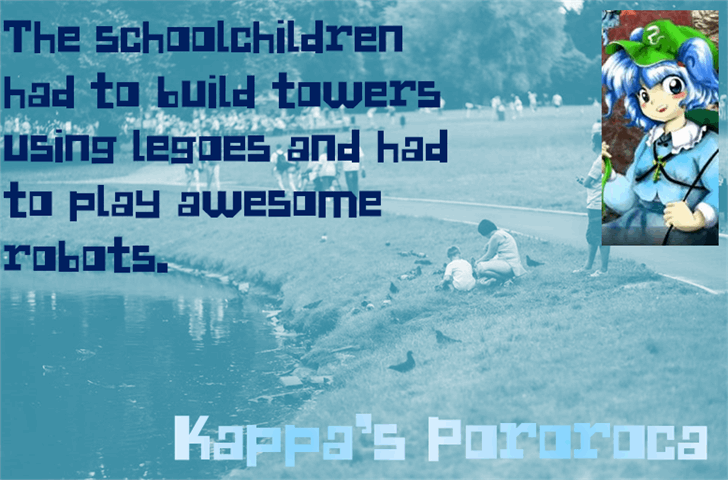 Kappa's Pororoca is a squarish techno font made out of most blocky elements. This font is for humanoid cyborgs. You'll never let the robot touch the water or it will malfunction. 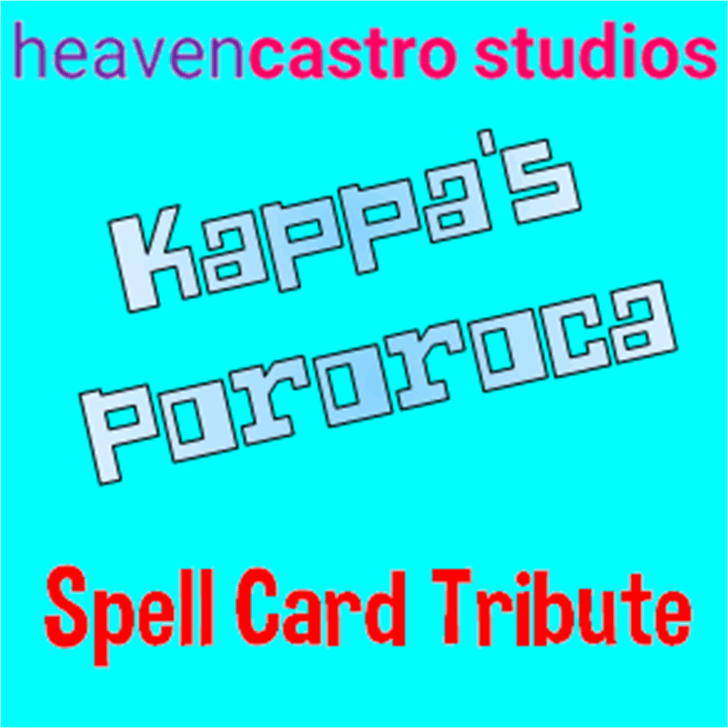 This is the first in my Spell Card Tribute series of fonts, and is the first one to be named after the name of the Spell Cards. Slightly similar to my previous decorative font, Wraith Arc Blocks.